When Helena was last in Brazil, she went to a kind of antique shop looking for a ship's bell. We've been thinking we might need one if we ever get up to foggy Maine. She didn't find a bell, but did find something she couldn't resist buying for me. As soon as I saw the case, which was very finely made, I knew she'd found a treasure. Can you tell a sextant by it's cover? 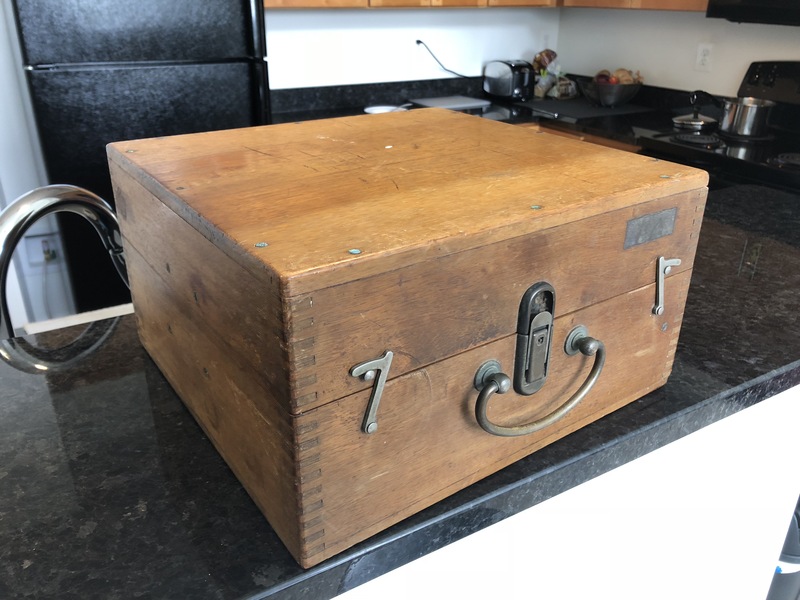 The case had been built with care, and had nice brass hardware, including a lock with key. Inside was a bronze-framed sextant, made by Filotechnica Salmoiraghi of Milan Italy. Compared with the only sextant I've ever used -- a plastic Davis Mark 15 -- this one felt like the real thing. It has a real heft and the micrometer moves smoothly as silk, with no backlash. All the original parts are in the box, including three different telescopes: a monocular, an inverting telescope, and a "zero magnification" tube. It dates from the 1940s. It's definitely been used for navigation, so it could use a bit of cleaning up. I will be doing that when other projects allow. 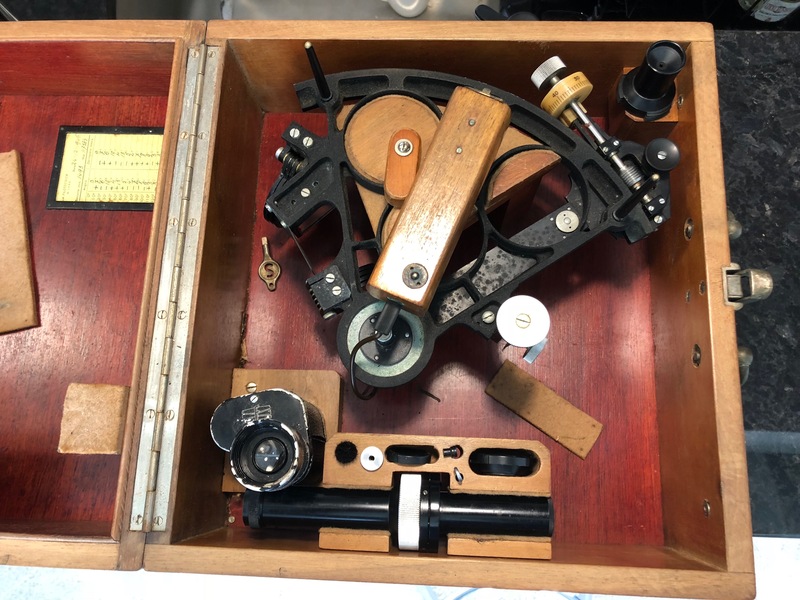 Interestingly, the calibration chart says that this sextant was calibrated on Christmas Eve, 1946, not long after the end of WWII. 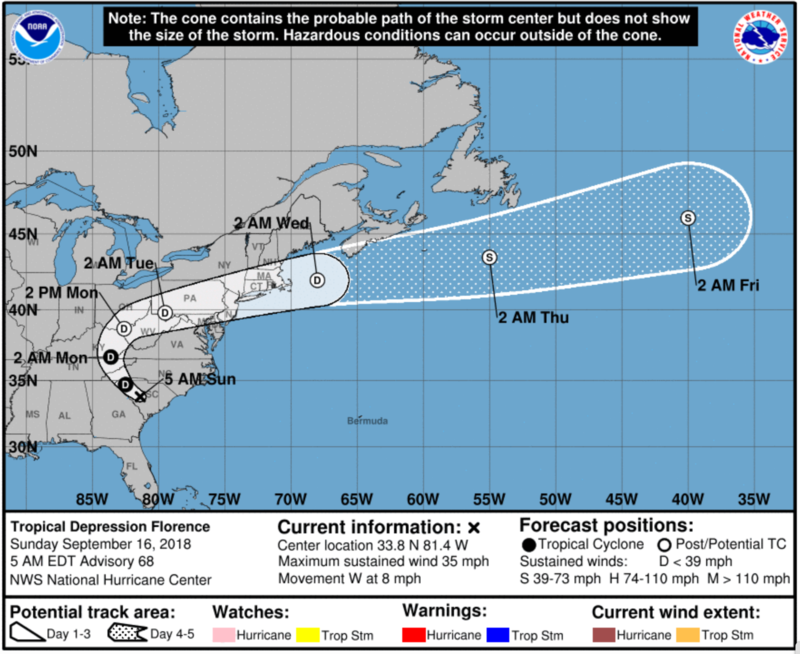 Well, Florence is currently making her deadly way through South Carolina. She's supposed to loop up north, and pass not far from the Chesapeake. Today is fairly clear, but it's supposed to rain Monday and Tuesday in Solomons, where P is hauled out. We're debating whether its worth heading down there today to do some painting while the sun shines, if we're going to have to sit out torrential downpours until Wed.
Next Up: Petronella On The Move! 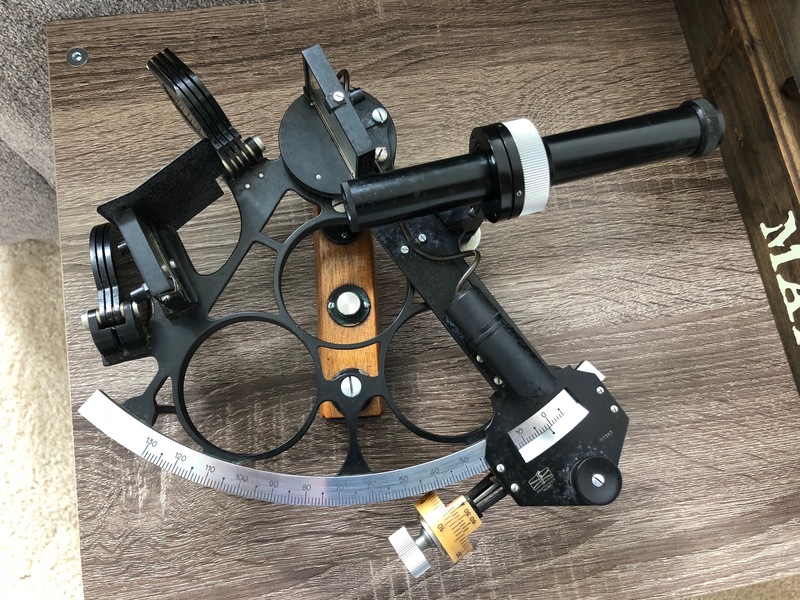 What a find, something to keep forever - we had to make do with a cheap plastic Davis sextant, but we found Porto Santo 500 miles out in the Atlantic - our last fix before land was only 16 miles inaccurate - good enough.